We’ve all had problems, at one time or another, attempting to delete a file that simply refused to be deleted. 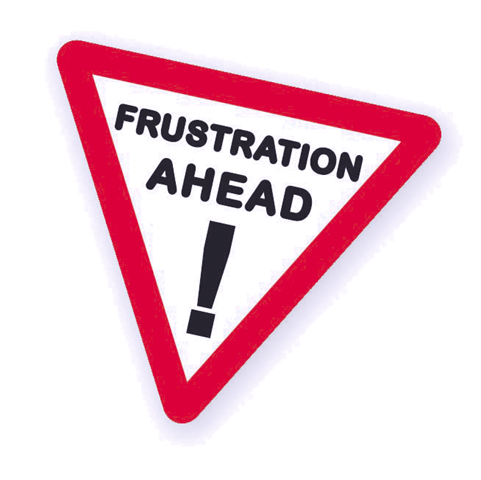 This can be frustrating, and can lead to all sorts of confusing thoughts. But it doesn’t have to be that way. The reality is, these types of messages are not as uncommon as you might believe, and can be caused by any number of issues including (let’s hope not), a malware infection. Unlocker is a Windows Explorer extension that allows you with a simple right-click of the mouse, on a file or folder, to handle those annoying error messages like “error deleting file or folder, cannot delete folder it is used by another person or program”. So that you’re prepared to handle the situation when faced with any of the previous messages, Unlocker is a great Explorer extension to have on hand. 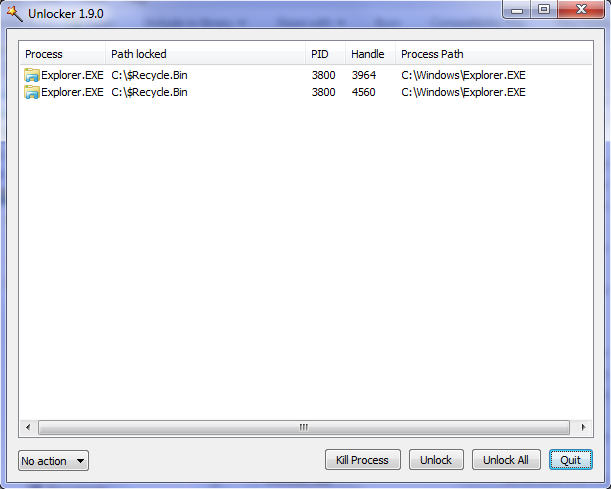 If the folder or file is locked, a window listing of lockers will appear as in the following screen shot, which indicates the Recycle Bin is locked. The developer has provided a handy dandy application comparison chart on his site, which I’ve partially reproduced here. Fast facts: Unlocker will handle the following. System Requirements: Windows 2000 / XP / 2003 / Vista / Windows 7 (64 bit compatible). Note: Caution is the keyword here. Working with critical system files may cause system errors, or failure. If you are not familiar with these issues, seek help from an advanced user. Unlocker had never let me down. It’s a terrific application. I’ve had the same experience as you – when I need it it works well. 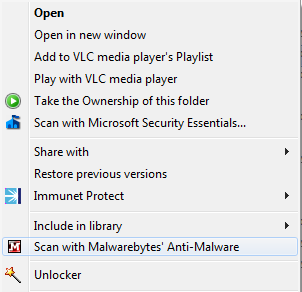 I used Unlocker for years, until it was identified as a virus by my security software. I decided to play safe and remove it. I agree, it’s always best to play it safe, but in this case Unlocker wasn’t, and isn’t, malware. The author addresses this issue in a Blog posting – The poor state of so-called �security solutions�, (http://ccollomb.free.fr/blog/?p=69), an excellent article on the problem of false positives. False positives, continue to be a major problem with many antimalware solutions. CCleaner does wipe .dat files, as you point out. 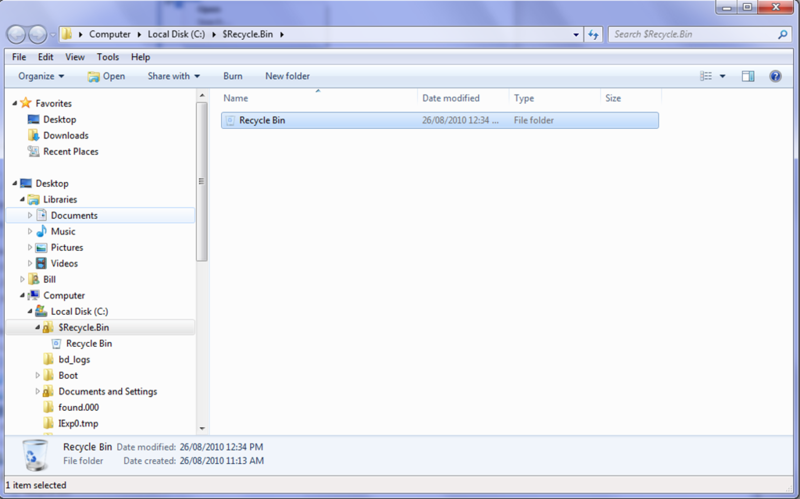 Unlocker on the other hand, is a broad based file unlocker designed for specially purposes. It’s probably safe to say, that most average users would have little need, if any, for a tool like this.